I got a sneak peek of the NEW Nutrilite Kids coloring book this morning, and it is super cute! 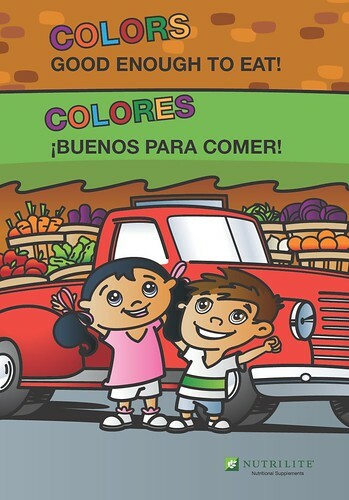 It teaches kids about the importance of fruits, vegetables, and color – while still being fun! The coloring book will be coming out on February 1, 2010 as part of limited-time, special promotion. – provides 19 vitamins and minerals, plus a natural Four Fruit Concentrate. – a yummy gummy that gives kids the essential omega-3 fatty acids EPA and DHA, which studies show helps support memory, learning, and concentration. – which provides the phytonutrient equivalent of 5+ servings of fruits and vegetables. This “Kids Bundle Promotion” is only valid February 1 through June 30, 2010. What % Of People In The US Know What A Phytonutrient Is? 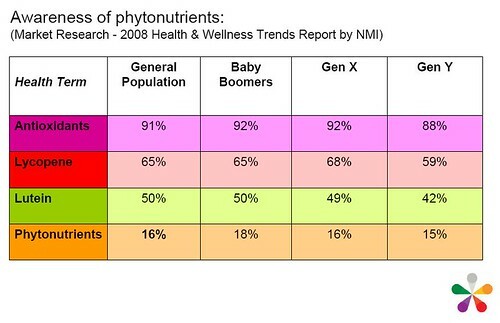 Only 16% of people in the US know what a phytonutrient is. Phytonutrients (“phyto” is Greek for plant) are the natural plant nutrients that give fruits and vegetables their vibrant colors and health benefits. Your challenge: Let’s boost awareness of phytonutrients! Try to incorporate the word “phytonutrient” into a conversation this weekend. If you get a blank stare, share Nutrilite.com/color with them so they can discover what phytonutrients are in a fun and interactive way! Extra bonus! On Nutrilite.com/color they can discover what their personal phytonutrient gap is. Ok, I am not a big snow fan and this weather is just over doing it. It is snowing at like the worst time for me and my husband. Meaning we are currently looking for a new place and well it’s not happening with the snow because people are canceling the looks. I think today would have been fine to show some places. I mean some of the main highways are empty. I’m really hoping that the snow dont start till later tomorrow and when I say later I mean like 5pm. Another thing thats messed up is that while people are canceling there showings our dogs (2) are in a boarding home that we still have to pay for each day. I’m praying and trying to not be upset about it but I’m so fustrated that our dogs are still n boarding place that we have to pay for even when we have NO control over the circumstances right now. Life right now is just really crazy and confusing. There’s so much going on and I just don’t know where I stand. This time around I’m just praying to find me, knowing what I like, what I want and overcoming my fears. I’m so tired of hearing people talk about there problems. Its like “ok! enough is enough!! !” I’m not trying to be a trash can for everybody’s problems and there not looking or accepting any solutions.